After another year, we look back and we look forward in the transgender community. I remember 20 years ago when I was all alone, broken and on the streets with my other trans sisters, I felt such a sisterhood and bond. We basically had nothing but each other. There was no judgment just acceptance to who I was and my authentic self. I had been shunned by all but my trans sisters. Now in 2015, the violence and murder rate with transwomen of color is rising each year. The statistics say the suicide rate is higher as well. The message I want to relay today to all my trans brothers and sisters is you are important to us and we need you to survive. I worked very hard to climb my way up and I understand it is difficult. But my word of encouragement today is that you can be more, be better, be happy and be your authentic self. It was not easy to walk my path of being my authentic self but there is so much joy in being real with yourself. No more lies, no more deception just truth and honesty. I understand you may have no family support, no friend support or any support for that matter. But you must continue to wake up each morning and strive to be better and be your authentic self. The LGBT family must recognize that we need our trans brothers and sisters. They are important to the LGBT movement and we need each and every one of them to survive. Transgender equality will not fully happen until the LGBT family acknowledges that we must support, encourage and assist our trans brothers and sisters. I was on the BART train this morning on my way to work and a good friend of mine called and said 'I love you and was just thinking of you.' I then called my good trans friend from 20 years ago and told her 'I love you and I am thinking of you.' 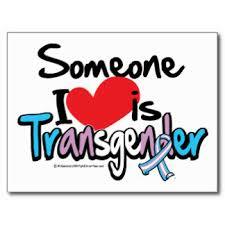 I encourage everyone to call a trans person and say I love you and I am thinking of you. To each transwoman and transman remember you are important and we all need you to survive. The key to your survival is to be strong, educate your mind and no matter how many times you fail get up and keep trying again. In those moments you feel no one cares and no one loves you, remember you are important and we need you to survive. After 25 years in the transgender community, I can assure you it will not always be bad. If you work hard, stay strong, forget the negative and focus on the positive, you will make it. YOU ARE IMPORTANT TO US AND WE NEED YOU TO SURVIVE.